In always looking forward to what Pixar might come out with year after year it was always going to be something of a disappointment when the inevitable Cars 3 came around and now...here we are. This summer we will not be graced by a new, inventive piece from Pixar nor will we see a sequel to one of their more beloved films (Ratatouille 2, anyone? ), but rather we will have the only trilogy capper in Pixar history outside of Toy Story for what is easily the weakest two films on the studios slate. I'm trying really hard here to be positive about what the film might offer as this new, official trailer is marginally intriguing, but there simply seems to be no balance of audience awareness and content maturity. The Cars franchise, like Planes, should strictly be for children, but this trailer looks to hint at a story with complexities that we know Pixar is capable of conveying convincingly, but that we know the world of Cars can't exactly deliver like, say, Woody and Buzz might be able to. Directed by Brian Fee (a storyboard artist on the first Cars) this looks like to be a darker film than what its predecessors might have indicated. The worst thing about the previous two Cars films were that they left no lasting impression, especially when compared to their peers. It may be that Fee is attempting to break that stigma around the franchise with this third film by going in an unexpected direction and if any of the marketing so far is any indication-things are definitely not looking the way I imagined a Cars 3 would look. That said, we still have a story dealing with Owen Wilson's Lightning McQueen as he attempts to prove to a new generation of racers that he's still the best race car in the world. With this new trailer we get a better idea of what Cars 3 will look and sound like and while I'm intrigued by the implications of what the movie could actually be about there is still a lack of any genuine excitement. Cars 3 also features the voice talents of Armie Hammer, Bonnie Hunt, Tony Shalhoub, Larry the Cable Guy, Katherine Helmond, Cheech Marin, Paul Dooley, and opens on June 16, 2017. 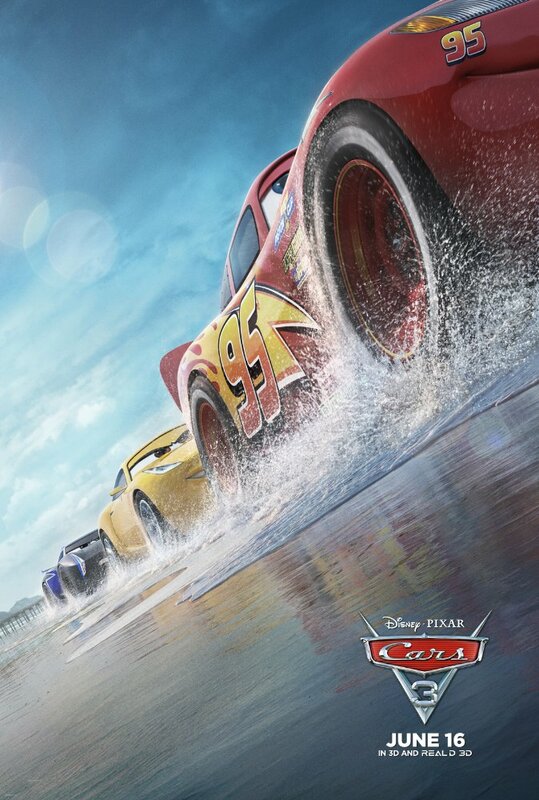 Synopsis: Blindsided by a new generation of blazing-fast racers, the legendary Lightning McQueen (voice of Owen Wilson) is suddenly pushed out of the sport he loves. To get back in the game, he will need the help of an eager young race technician, Cruz Ramirez, with her own plan to win, plus inspiration from the late Fabulous Hudson Hornet and a few unexpected turns. Proving that #95 isn’t through yet will test the heart of a champion on Piston Cup Racing’s biggest stage.